Garut attractions - Like other areas in Indonesia, Garut regency in the province of West Java has many popular tourist attractions and interesting to explore. The geographically close proximity to the city of Bandung is easy to reach by using land transportation. Garut regency has become one of the leading tourism destinations in the province of West Java. In Garut there are many most popular tourist attraction to visit such as Mount Cikuray, Mount Papandayan, Cangkuang Temple or Santolo Beach which offers various types of best tours in Garut Regency. Here are 10 Garut attractions, Garut Tourism West Java, Indonesia is worth your visit and enjoy the beauty. Garut Tourism Mount Cikuray is a mountain of type stratovolcano located in Dayeuhmanggung, Garut regency, West Java Province. The 2,821-meter-high mountain from this sea level has no active crater. It is the fourth highest mountain in West Java. For those of you who love the outdoors, Mount Cikuray is a suitable place for you to climb. Mount Cikuray offers a very interesting field. While the Bayongbong track is the steepest path for you to climb. In addition to offering stunning panoramas of the mountains with its cool and clean air, Mount Cikuray also has Dipterokarp Hill, Dipterokarp Upper Forest, Montane Forest and also Ericaceous forest. 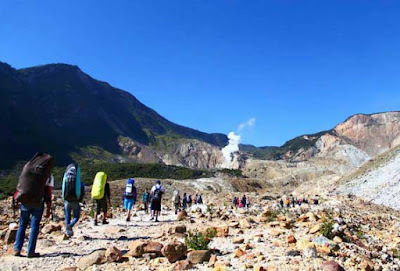 Trip Garut, In addition to climbing on Mount Cikuray, In Garut Regency there is also Mount Papandayan as your next climbing place. Mount height 2665 meters above sea level is located in Kecamapatan Cisurupah, Garut regency, West Java Province or is about 70 kilometers from the city of Bandung. 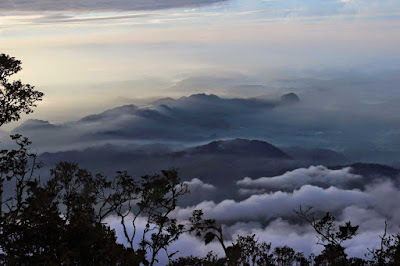 In addition to enjoying the amazing panorama of nature at the top of the mountain, In this mountain, you can also find some craters that have been very famous among climbers such as Kawah Mas, New Crater Crater Nangklak and Manuk Crater that can remove the steam from the sides. Trips to Garut, do not forget to stop by Cangkuang Temple located in Pulo village, District Leles, Garut Regency. This Hindu temple is the first place found by Tatar Sunda. This temple is located adjacent to the grave of Embah Dalem Arief Muhammad, an ancient tomb spreader of Islam in the region of Garut and surrounding areas and is believed to be ancestral of the villagers. The temple building that you will see is the result of the restoration that was inaugurated in 1978. The body of the temple building is rectangular with the size of 4.22 meters x 4.22 meters with a height of 2.29 meters. On the north side, there is an entrance measuring 1.56 meters with a width of 0.6 meters. The peak of the temple there is two levels of rectangular measuring 3.8 x 3.8 meters with a height of 1.56 meters and 2.74 x 2.74 meters with a height of 1.1 meters. Inside there is a room measuring 2.18 x 2.24 meters with a height of 2.55 meters. While basically there is a basin measuring 0.4 x 0.4 meters deep within 7 meters. 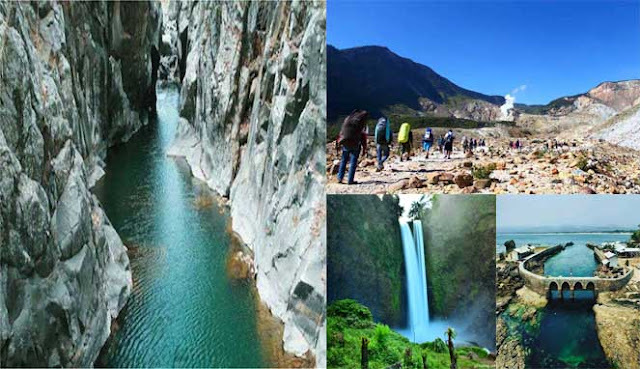 Natural attractions Situ Begendit has a very natural environment, hygiene, and landscape. 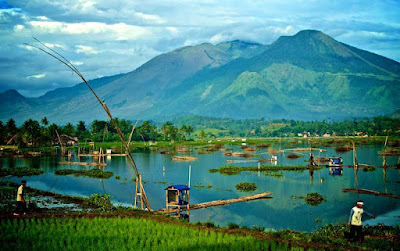 Tourist attractions are located in the Village Begendit, District Banyuresmi, Garut regency, West Java Province, Indonesia, presents beautiful natural scenery, wandering around the lake by boat or raft. Visitors can also do family recreational activities while doing water biking activities. 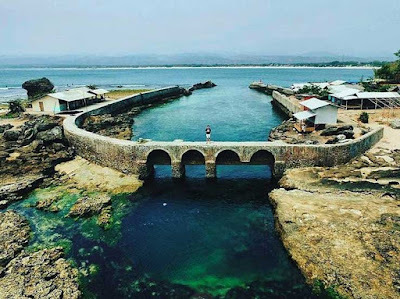 The next Popular Garut attractions are Sayang Heulang Beach located in Mancagahar Village, Pameungpeak District, Garut Regency, West Java Province. The beach, which has a length of about 3.5 kilometers, presents beautiful views of the beach and marine biota are very diverse. On this beach, there is a special area to play volleyball, restaurants, and restaurants typical of Garut, cheap lodging (Garut Tour) with a variety of facilities that will certainly make you comfortable vacation to this Sayang Heulang beach. 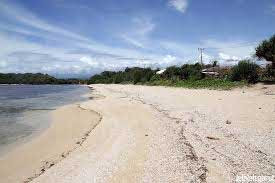 Next Garut Tourism is Santolo Beach which is a beautiful and natural beach. 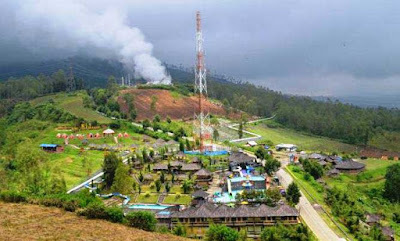 Mainstay Tour City of Garut located in District Cikelet or about 88 kilometers from downtown Garut. Enjoying panoramic beaches and marine life is a tourist activity that you can do on this beach. On the Beach Santolo also available boat rentals that serve tourists to enjoy the waves of the south coast is quite challenging. In addition, you can enjoy fresh seafood dishes with a simple dish. On this beach also has available various restaurants, lodging such as hotels, villas, guesthouses and souvenir shops at affordable prices. Curug Orok is a Tourist Places Garut visited by many tourists. The tourist spot located in Cikandang Village, Cikajang District, Garut Regency presents a beautiful panorama of beautiful nature. Located at an altitude of 250 meters above sea level and at the foot of Papandayan mountain, the Orok waterfall has clear water and cool air. 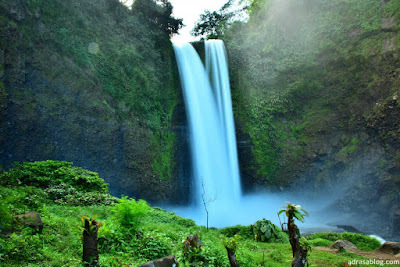 Curug Sanghyang Taraje is a waterfall that is located at an altitude of 660 meters from sea level with a waterfall height of about 82 meters with two waterfalls. In addition to having a beautiful natural panorama, Curug Sanghyang Taraje also used by local people as irrigation for agriculture and fisheries. Curug located on the border of Pakenjeng Village, Pamulihan Subdistrict with Jatiwangi Village, Pakenjeng Sub-district, Garut Regency with Cibatarua River, one of Cikandang tributaries that empties into the Indian Ocean so that the waterfall of Curug Sanghyang Taraje is very heavy flowing water especially during the rainy season. The next Garut attraction is Darajad Crater is a mountainous location located in Padawans village, District Pasirwangi Garut. The specialty of Darajad Crater is its crater that releases geothermal steam. In addition, Drajad Crater also has a beautiful panorama of beautiful mountainous landscape with clean air. This 40-hectare resort is also facilitated with water boom, spilled bucket, hot spring bath. riding tours, ATVs, Flyingfox, Shaking Bridges to Outbound. 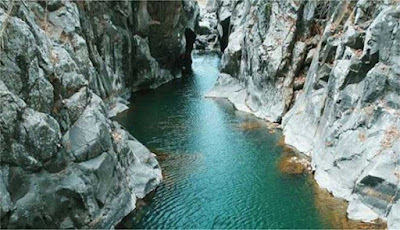 Leuwi Korsi is one of the Places of Garut Tour which presents a combination of rock cliff formation and crystal clear blue water with a cool air typical of the mountains and a row of stone that extends like a chair will make visitors who come feel at home for long in this place. Prepare your trip to Leuwi Korsi located in Bungbulan Village, Bungbulan District, Garut Regency, West Java Province. 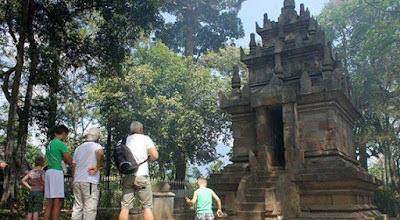 We guarantee you will be satisfied vacation to the most popular tourist attractions in this Garut.